Dejan Stjepanovic is a Postdoctoral Fellow at IASH. He holds a PhD degree in Political and Social Sciences from the European University Institute, Florence. 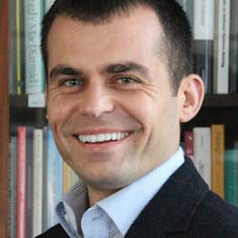 Before joining IASH, he spent two years working as a Research Fellow on the CITSEE (the Europeanisation of Citizenship in the Successor States of the Former Yugoslavia) project. His research interests combine territorial politics, nationalism and citizenship studies in historical and comparative perspectives. During his stay at the IASH, Dejan will work on his publications while developing his project on statehood alternatives dealing with sub-state politics across Europe.